The warm weather seems to be here. Thanks to this, people across the country will be getting their grills ready for some BBQ fun. 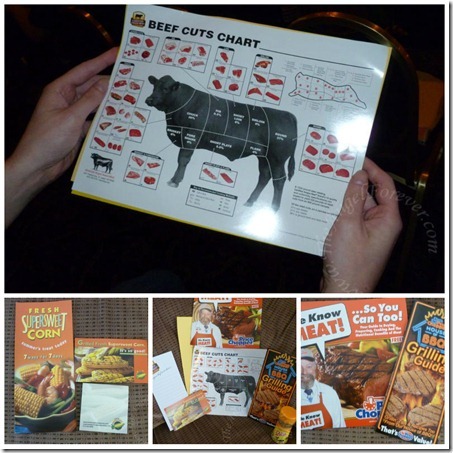 Last Thursday evening, I was invited by Price Chopper to attend their House of BBQ cooking event sponsored by Certified Angus Beef. This event was right after Price Chopper announced the new voices of their House of BBQ commercials to replace the much loved Melvin Sparks after he passed away. Allan Harris and Lynn Sterling, two nationally known musical artists, will now be seen in the ads like this one below. That’s right, we were not cooking Thursday night, we were learning about grilling. So with the catchy tune in my head, I made my way to The Century House in Latham, NY for the House of BBQ fun. Oh an FYI, this was not a blogger event. This is one of the cooking classes that Price Chopper sponsors throughout the year for members of the community to attend. At our seats, we were given a bag of goodies. The recipes being prepared, some tip sheets, and extras were inside for everyone in attendance. When it was time to begin, we decided to use the hashtag #HouseofBBQ on Twitter to live Tweet what we were learning. First up was Chef Mike Tracy from Price Chopper. Sorry about the photo quality, the lighting at The Century House was tricky to work with. Chef Mike really helped to explain that you should not be afraid of grilling vegetables. He did admit that corn on the cob grilled is not his favorite since it does not look too great when finished. Next was Chef Michael Ollier from Certified Angus Beef. 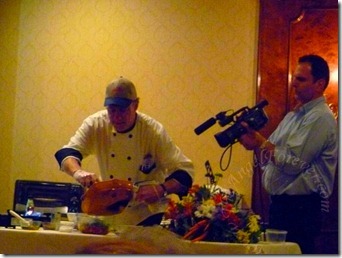 Chef Michael was tossing jokes out the entire time and keeping everyone on their toes. He was fantastic to watch and listen to. 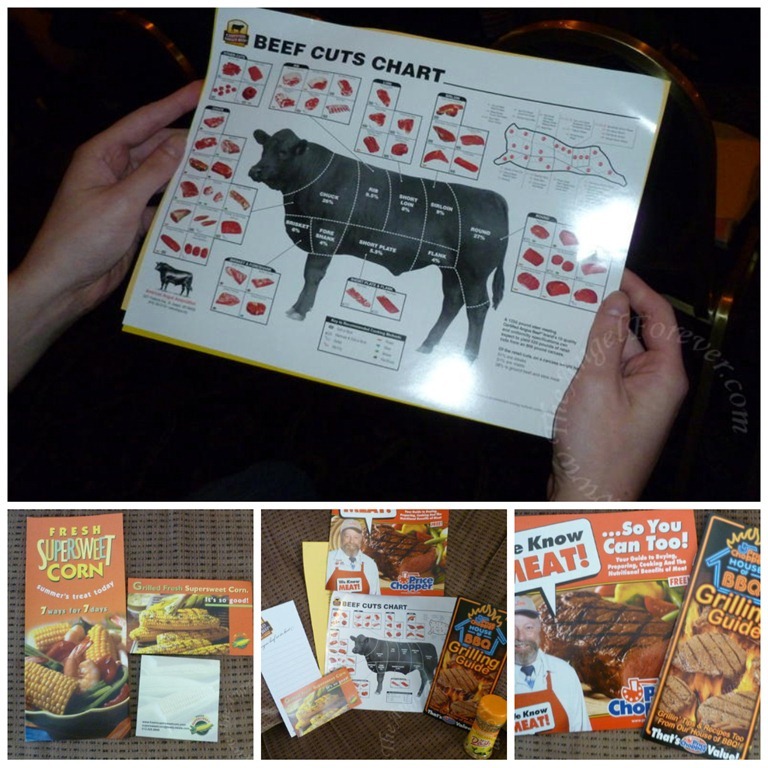 He made learning about different cuts of meats fun and enjoyable. Even this girl, who can not buy Certified Angus Beef (not kosher), knows this meat is the real deal. 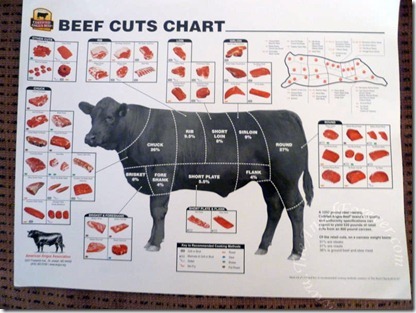 While Chef Michael showed us different cuts of meat, we referenced the chart below. Then, he demonstrated some grilling techniques and took questions from the audience. When it was time to try some of the foods that were prepared, I had my camera out snapping shots. Chef Michael joked and asked if I was a blogger or something. Of course, I told him I was and had been live Tweeting the event with my friends. Yes, we even got some of Chef Michael’s jokes in there. 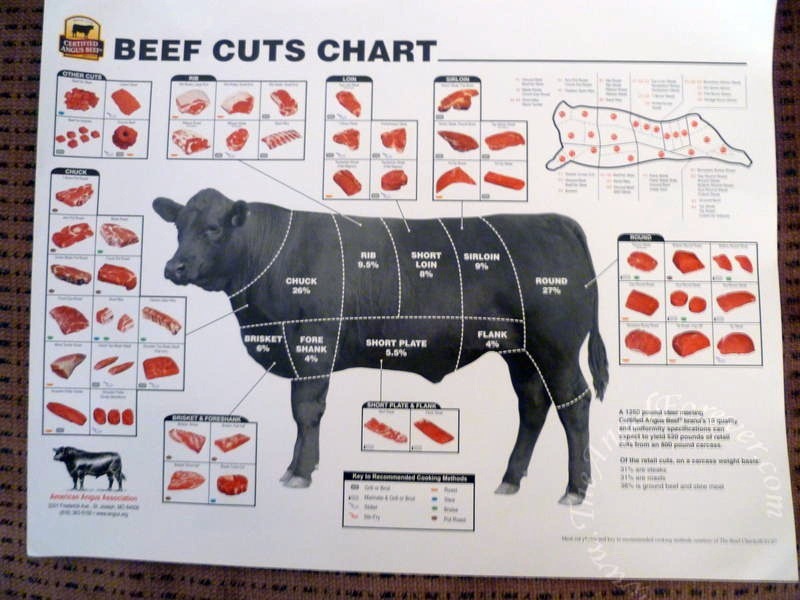 You can also read more about the different cuts of beef that he talked about on the #HouseofBBQ hashtag on Twitter. The final person to present to the group was Chef David Robinson. Chef David is the brilliant man behind Eat Your Mistakes. He has a video cooking series that shows people how to cook and eat your mistakes in the process. Chef David was high energy and talked about his recent trip to Las Vegas where he took local supplies from the Capital District to cook for dignitaries. Yes, I am the blogger that was taking photos of photos. Chef David was showing us how to prepare some delicious goodies to end a grilling feast. He made Mom’s Chocolate-Chip Oatmeal Cookies (YUM!) and Chocolate Cake with Cream Cheese Frosting. Both of these items were fantastic and will be made and utilized for different events. I will admit, I have been craving more of the cookies since this event. I have seen Chef David on television before, but now his blog is in my feed reader to catch when it is updated. When all was said and done, we were able to go to the back of the room to make a plate and try all of the foods that were prepared. Here is my plate and later on when Chef David delivered cookies fresh from the oven. Yes, being at the end of the line paid off since they ran out of cookies – so gooey fresh ones were a short baking cycle away. Have you been to a Price Chopper cooking class? Please let me know if you have. 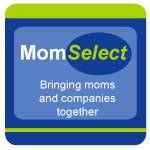 I would love to know more about your experience. For those not in the area, what do you love to grill in the summer? 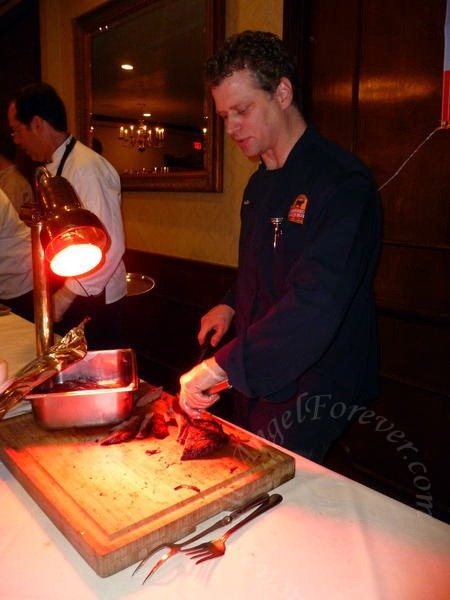 Thank you again to Price Chopper, Certified Angus Beef, The Century House, Chef Mike Tracy, Chef Michael Ollier, Chef David Robinson, and my blogging buddies for an amazing evening. I know I am looking forward to hearing when the next cooking/baking/grilling event will be held. Disclosure: Price Chopper invited me to be a part of this event. I did not pay for this, nor was I paid to go. 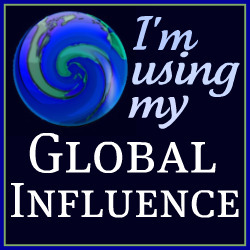 I was not asked to blog about this, but wanted to share my experience with my readers. The opinions expressed in this are my own. I was not compensated, but did receive the items shown above and a coupon for Price Chopper cereal after completing a survey about the event. Awesome to have been there with you! It was a freakin’ awesome night. Lots of laughs. Go team low blood sugar! We had so much fun. I’m still working on my blog post about the event! Great time at the event and great company! It was a lot of fun hanging out with you girls and trying ALL that yummy food! Price Chopper House of BBQ really knows how to throw a cooking class! Now …I have to get motivated and finish my post too. This looks like so much fun, even for non-cooks like me! Sorry I missed it! Excellent post with great pictures of the event. 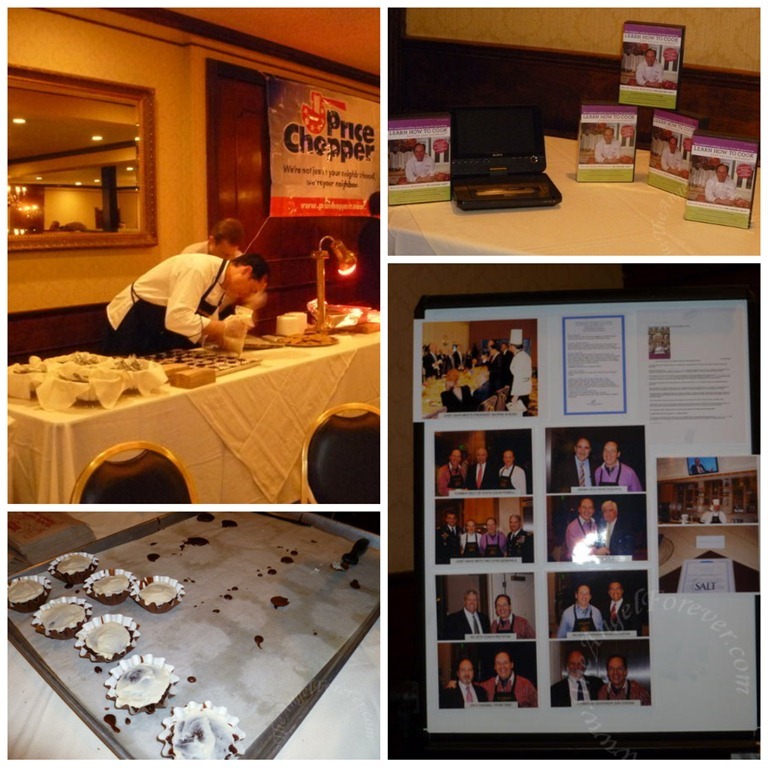 We are always excited to partner with Price Chopper on a consumer event like this. The educational opportunities are beyond measure and when you put the BEST BEEF in the world in their mouths, it seals the deal. Thanks for a great post. Glad you enjoyed it.